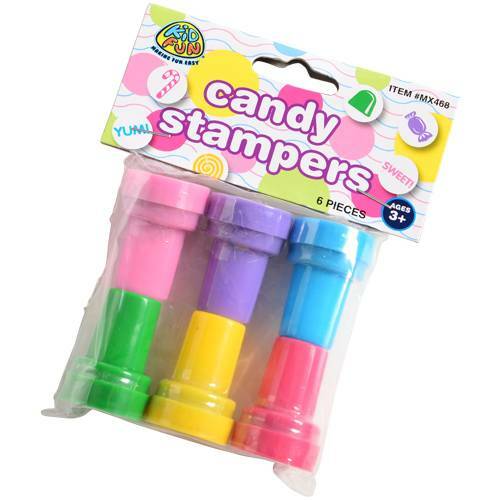 Size: 1" W. x 1 1/4" T.
Sweeten your arts & craft projects with these candy-themed, self-inking stampers! 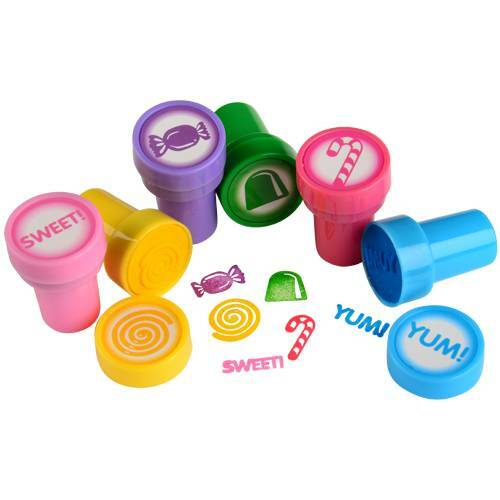 Includes a lollipop, gum drop and wrapped candy designs that will surely delight kids of all ages! Also makes a great party favor at candy themed events.